Our data loggers, known as DAPs, are designed for the vehicle environment. They easily transfer across vehicles with defined VINs. Simply unplug it from one vehicle and plug it into the next. They can transfer data over Wi-Fi or a cellular data connection. If you often find yourself out of coverage, these data loggers can store data for weeks at a time and then automatically upload data once in coverage. If you do most of your work in an area with good coverage, data can be viewed in real time from our secure data website. The entire DAP family features low sleep current draws with Wake-on-CAN functionality, making them ideal for long- or short-term vehicle installations. 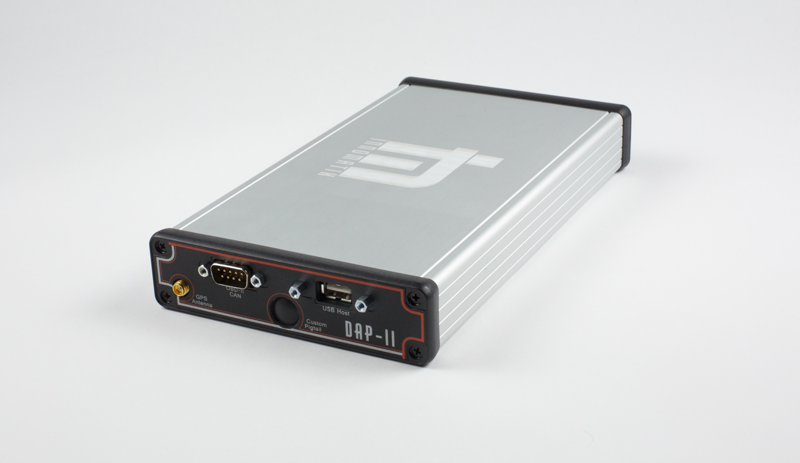 The DAP-II is our most widely deployed telematics device. 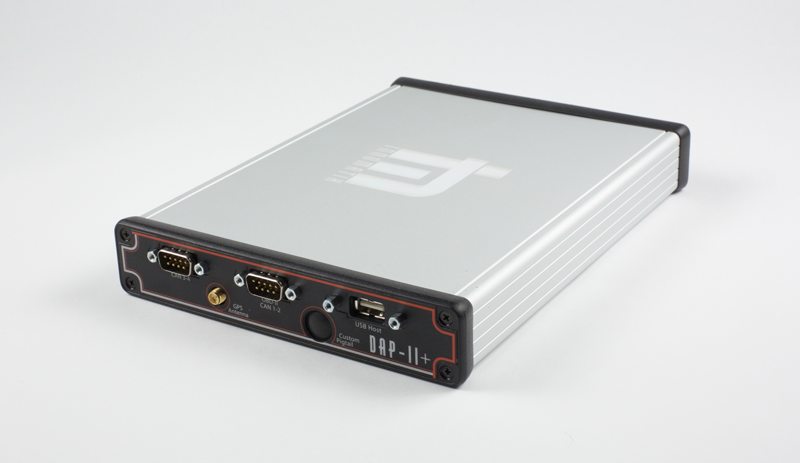 This device supports real-time data collection on two CAN channels, but is available in a four channel configuration (DAP-II+). The DAP-II supports our fixed display option and has an optional upgrade to work with our display application for Android™.